Article: "The Macroeconomic Effects of Student Debt Cancellation" by Scott Fullwiler, Stephanie A. Kelton, Catherine Ruetschlin, Marshall Steinbaum. Article: "Share repurchase" (stock buyback) by Wikipedia. Article: "All those share buybacks: What’s tax cuts got to do, got to do with it?" by Jared Bernstein. Article: "The drugs do work: antidepressants are effective, study shows" by Sarah Boseley. Law: "Health Insurance Portability and Accountability Act" (HIPAA), 1996. Article: "Loch Ness Monster" by Wikipedia. Article: "Waco siege", 1993 by Wikipedia. Article: "Warren Buffett endorses share buybacks" by Stephen Foley. Article: "Warren Buffett’s Berkshire Hathaway made $29 billion off the Republican tax cuts" by Emily Stewart. Article: "Trump’s Tax Cuts in Hand, Companies Spend More on Themselves Than on Wages" by Matt Phillips. Bill: "S.661 - CREATE Act of 2017" by Sen. Udall, Tom [D-NM]. Bill: "H.R.2212 - CREATES Act of 2017" by Rep. Marino, Tom [R-PA-10]. Article: "Public Service Loan Forgiveness (PSLF)" by Wikipedia. Article: "The False claim California has built far more prisons than colleges since 1965" by Chris Nichols. Article: "China Moves to Let Xi Stay in Power by Abolishing Term Limit" by Chris Buckley and Keith Bradsher. Article: "Globalization Has Created a Chinese Monster" by Emile Simpson. Article: "BRICS" (Brazil, Russia, India, China and South Africa) by Wikipedia. Article: "So-called ceasefire in Syria has barely led to a lull" by Martin Chulov. Hour Three: Media Democracy in the Fight for Medicare For All...? Site: The Fight for $15. Article: "Fast food worker strikes" (Fight for $15) by Wikipedia. Article: "Sanders offers bill to allow purchase of prescription drugs from Canada" by Jessie Hellmann. Bill: "S.469 - Affordable and Safe Prescription Drug Importation Act" by Sen. Sanders, Bernard [I-VT]. Site: Gavin Newsom for Governor 2018. Bold Leadership for California. Site: Ben Jealous for Governor, MD. Site: Cathy Glasson for Iowa. Bill: "SB-562 The Healthy California Act". Site: Campaign for Guaranteed Healthcare. Article: "act.tv is the place to watch inspiring progressive videos and take action to build a better world.". Article: "Occupy Wall Street" by Wikipedia. Article: "How Mark Zuckerberg Led Facebook’s War To Crush Google Plus" by Antonio García Martínez. Video: The Medicare for All National Town Hall. 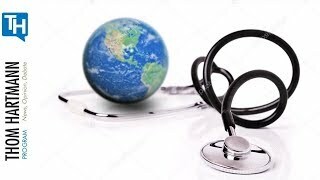 Article: "Bernie Sanders talks universal Medicare, and 1.1 million people click to watch him" by David Weigel. Article: "Seeking the Presidency, Bernie Sanders Becomes Facebook Royalty Through Quirky Sharing" by Nick Corasaniti. 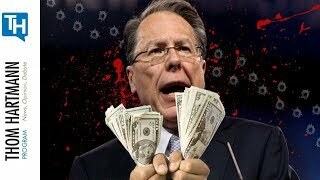 Is Wayne Lapierre Just a Crisis Actor Performing For Big Money?